Kryptonian Warrior: Farscape - New TV Movie Coming Soon? Empireonline.com posted up news last week stating that one of the original Farscape writers 'Monjo' is currently working on a screenplay for a new Farscape TV movie, several years after the Peacekeeper Wars finale. Although no real news has been released the supposed plot line involves John Crichton and Aeryn Sun's now 19 year old son 'D'Argo Sun-Crichton' who has been hiding out on Earth for most of his life, since he's the target of villainous aliens, but when he's finally discovered - manifesting latent "special powers" - he rejoins his parents for more adventuring. 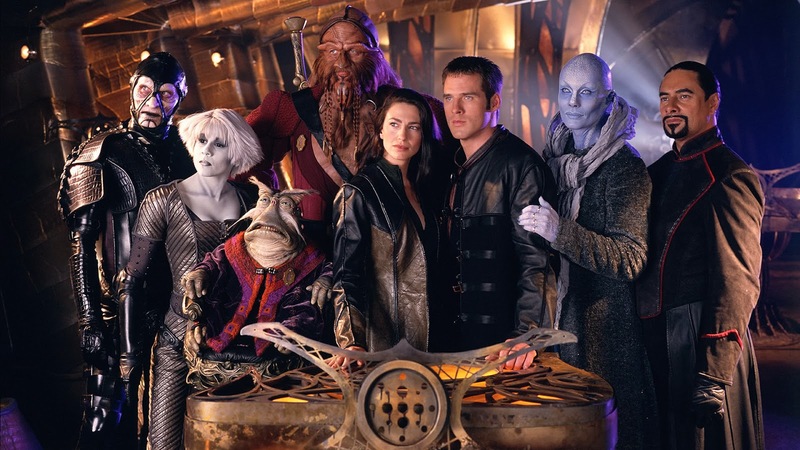 Die-hard fans will relish the opportunity a new instalment will give them to get back into the much-loved Farscape universe and it's always great to see historical progression in a sci-fi show, but will it be any good? I don't mind either way, I love it!